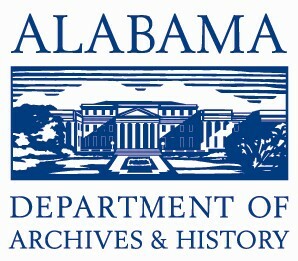 Excerpt of a letter from Ward Hill Lamon, former U.S. Marshal, to President Johnson. 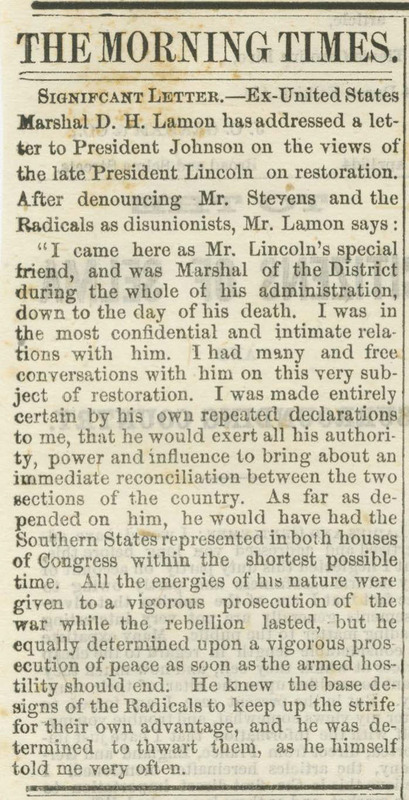 In it Lamon, a close friend of Abraham Lincoln, explains the late president’s plans for restoring the Union after the war: “I was made entirely certain by his own repeated declarations to me, that he would exert all his authority, power and influence to bring about an immediate reconciliation between the two sections of the country…All the energies of his nature were given to a vigorous prosecution of the war while the rebellion lasted, but he equally determined upon a vigorous prosecution of peace as soon as the armed hostility should end.” Published in The Selma Morning Times on April 14, 1866.